Brazil is one of the largest mobile markets in Latin America, with four major mobile operators offering a range of voice and data services: Telefónica’s Vivo, Claro Brasil, TIM Brasil, and Oi. All four operators have secured spectrum in the 2.5GHz band with which they are expanding their LTE networks to capitalise on consumer demand for mobile data services. The government has also made available the 700MHz band (previously allocated to TV broadcasters) for mobile broadband use, and about 70% of this spectrum had been released by broadcasters by late 2018. Brazilian telecommunications agency Anatel is engaged in discussions on an international level regarding the deployment of the 5G standards. Preliminary information indicates that the agency is to allocate the 3.5GHz or 28 GHz band for the roll out of 5G in Brazil. Brazil’s market leader is Vivo, it has a 28.5% market share with 73 million subscribers, 57% of whom are using prepaid plans. People view the service as the best in the country and as having the most reliable network coverage. This comes at a price, though, since it also has the highest rates of all the providers. Vivo uses 4 GSM bands, 2 UMTS bands, and 1 LTE band. According to Open Signal in their most recent report Vivo delivered the second fastest 4G speed in their tests, averaging 21.3 Mbps. Tim owned by Telecom Italia, their mobile customers are 55.9 million, of which 34.5 million are 4G users, and they have a 24.4% market share. They use 1 GSM band, 2 UMTS bands, and 2 LTE bands. Their 2G, 3G and 4G services are available across Brazil. Their 4G network is present in 3,272 cities, reaching 93% of urban population. TIM emerged as the clear winner in 4G availability in the recent Open Signal report. Users on TIM were able to find an LTE signal 59.2% of the time. In general, though, no operator in Brazil was able to provide consistent 4G connectivity. In 2018 TIM Brasil continued to expand its fixed ultra-broadband network. The FTTH technology (Fiber to the Home) reached 1.1 million homes in 11 cities , of which 5 are capitals and the FTTC technology (Fiber to the Cabinet) 3.5 million in 4 cities, with a total of 4.3 million households in 14 cities. TIM’s aims to focus on modernization, simplification and artificial intelligence to build a new and automated 5G network while continuing to dismiss and consolidate legacy assets such as data centers and exchanges. They have started discussions with Open Fiber to explore all possible options, including a business combination to generate opportunity that a single network presents. TIM has reached 99 percent of the population with 4G and 80 percent with Fiber. TIM will expand the coverage, in synergy with 5G deployment. They will be focusing on quality of Giga network. Ultra-broadband penetration will grow to 80 percent of TIM’s broadband client base by 2021 from 45 percent in 2018. Claro is the third largest operator in Brazil. It has a 25% market share with more than 50 million prepaid customers. Claro has the best coverage on 4G/LTE and is very popular with the younger crowd who are looking for good prepaid deals. According to Open Signal the average 4G download speed for Claro is 27.5 Mbps, which was more than double the average speeds measured on Oi and TIM's LTE networks. Claro also had the best 3G performance in their speed rankings, averaging HSPA download speeds of 3.9 Mbps. 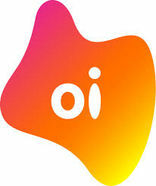 Oi (Brazilians use this for hello) is the smallest of the big four operators and has an 18% market share. Oi has the largest Wi-Fi network with more than 1 million access points across Brazil. However they lost 8.5 percent of their mobile clients in 2017/18, ending June 218 with 36.5 million subscribers. Their CEO has also stated that 'We're in judicial recovery, not bankruptcy'. Brazil is a good example of mobile operators teaming up, to deliver coverage in areas especially when hosting football matches during the 2013 Confederations Cup and the 2014 World Cup. Regulators allowed the deal under the proviso it would improve regional coverage and would not harm competition. The partnerships improved operational efficiencies and allowed operators to deploy infrastructure in smaller regional areas. One of the agreements, between operators Vivo and Claro, was so successful that the shared approach to cell sites more than double from the initial agreement. “Today, the shared network of Claro and Vivo covers 5.6 million people in rural areas. From the government’s perspective, the benefits were twofold: first, it accelerated the provision of mobile services; and second, it increased service level competition,” GSMA reported.